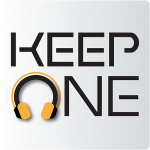 KeepOne Radio – Keep your favorite radio station close to you. All radio stations around world. Listen your favorite radio stations for free* with KeepOne Radio. You don’t like to check categories to find your favorite radio? Than you can use search function to find it easy. With KeepOne Radio you can add your favorite radios to your favorite list, if any radio is not working? Just send a report broken link and we will update it quickly. After a few minutes that app must close itself? Than you can use set timer (sleep mode) to let app close itself after mins that you want. You like a radio station but you can’t find on KeepOne Radio? Than you can send via “Add Radio” button your favorite station informations, we will add it to KeepOne Radio shortly.